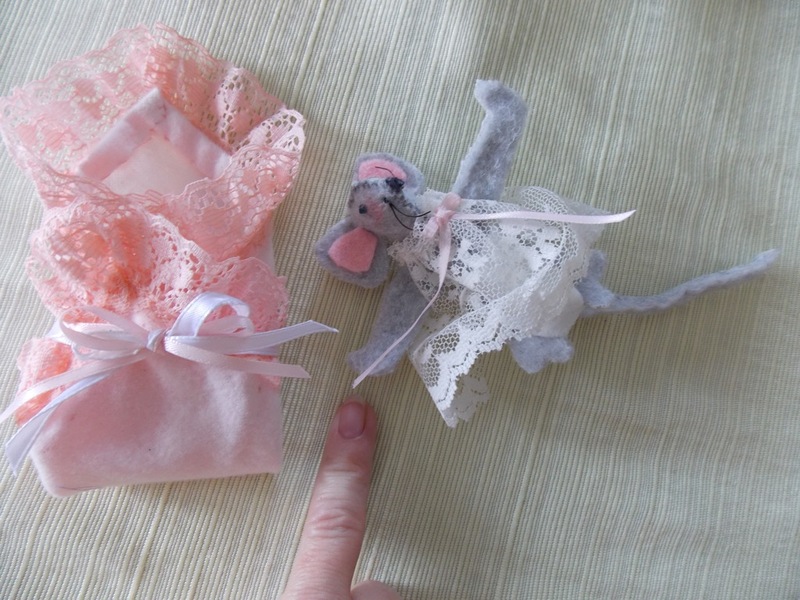 What possesses a person to spend their precious (and rare) free time constructing and dressing tiny mouse bodies? I usually make choir mice as Christmas ornaments wearing red choir gowns and holding hymnals. 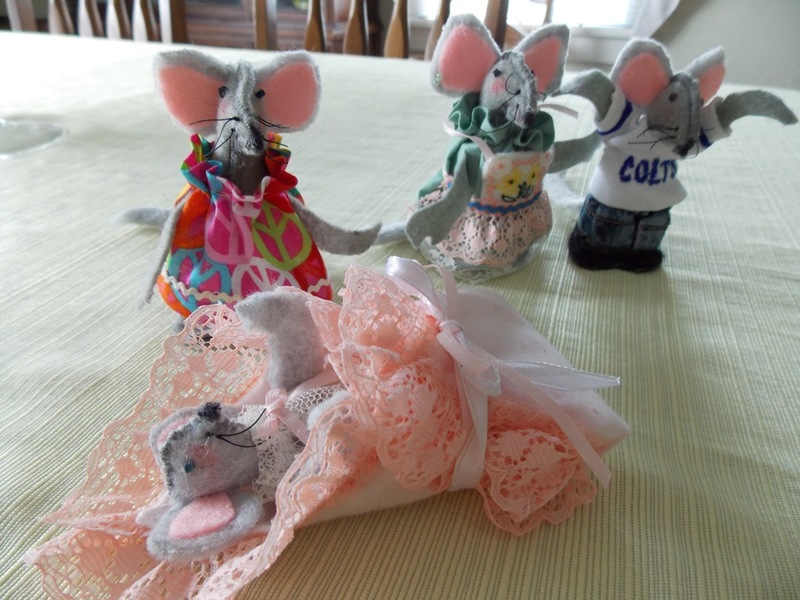 But my granddaughter needed some families” for her dollhouse, so I made a mouse family since she is an animal aficionado. 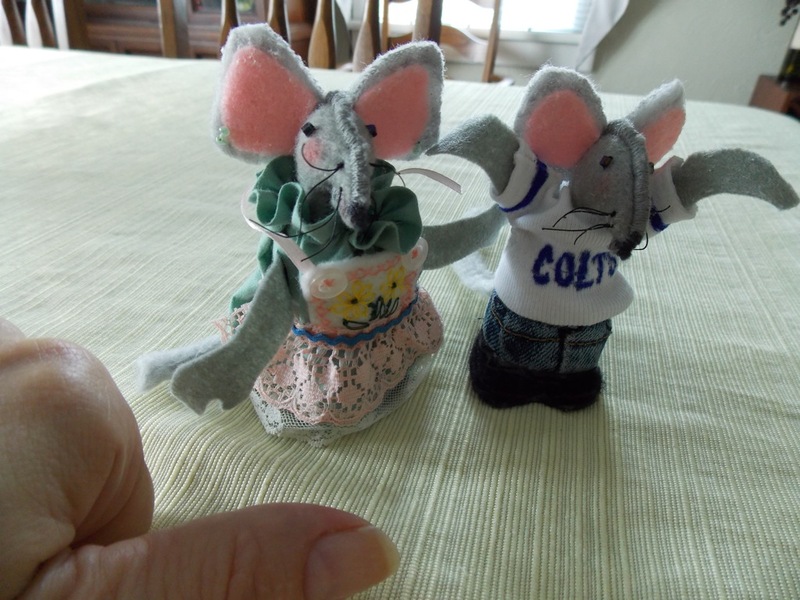 Her dad is a Colts fan, so of course, so is Papa Mouse. I think it might be easier to just stab and slab ’em … just a thought. Papa is a Colts fan, of course. Mama is a stay-at-home mother. Baby mouse, shown next to my pinkie for scale. Maybe I need a second job?